The UNLV logo that bore a striking resemblance to Western character actor Sam Elliott now is going the way of Khalil Mack Raiders jerseys. “We are exclusively using the iconic UNLV arch logo, and no new items with the ‘new’ mark are being approved through the licensing process,” athletic department spokesman Andy Grossman said in an email Monday. He said the university will consider changing the logo for when the football team moves into the shared stadium with the Raiders in 2020, and that upcoming negotiations with Nike for a new contract will include looking at the logo. The current deal expires May 31. Yes, no new items are being approved through the licensing process with that logo. The arch logo, which is widely used by the Rebels’ teams, will remain even after 2020. That’s unlike Mack, the Raiders’ fan favorite who was traded to the Chicago Bears in August. 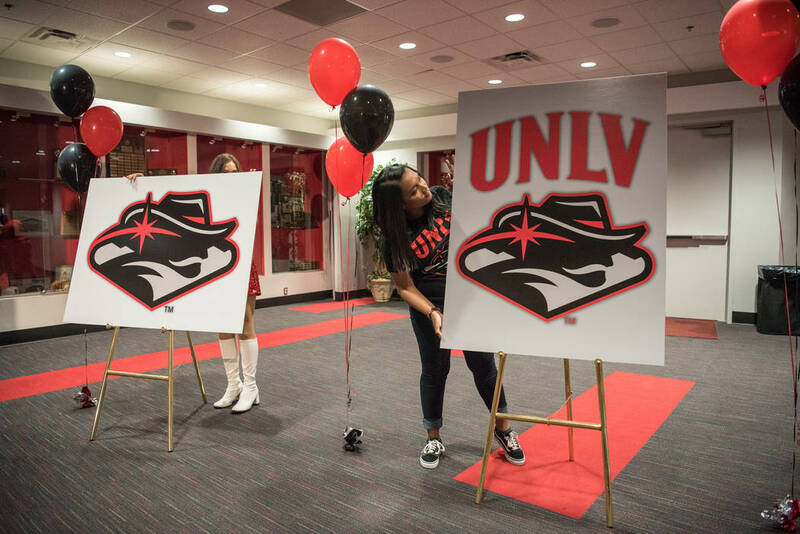 UNLV fans hated the new logo from the moment it was unveiled in June 2017, and though the athletic department never took an official position on it, the design was not visible at Rebels sporting events. The school used privately raised funds to pay Denver firm Adrenalin nearly $50,000 to create the logo, which was so confusing that it came with an explanation of what each part of the design resembled. UNLV could have received a free logo from Nike, according to the contract with the apparel maker. “If I have a logo on my shirt, it is to advertise or let people know that I’m wearing a shirt for the Ruvo clinic or Keep Memory Alive of Konami or the Cannery. I don’t think I’m supposed to have a logo that people are trying to figure out what it is. Our curved ‘UNLV’ is a great insignia for the university in my estimation. 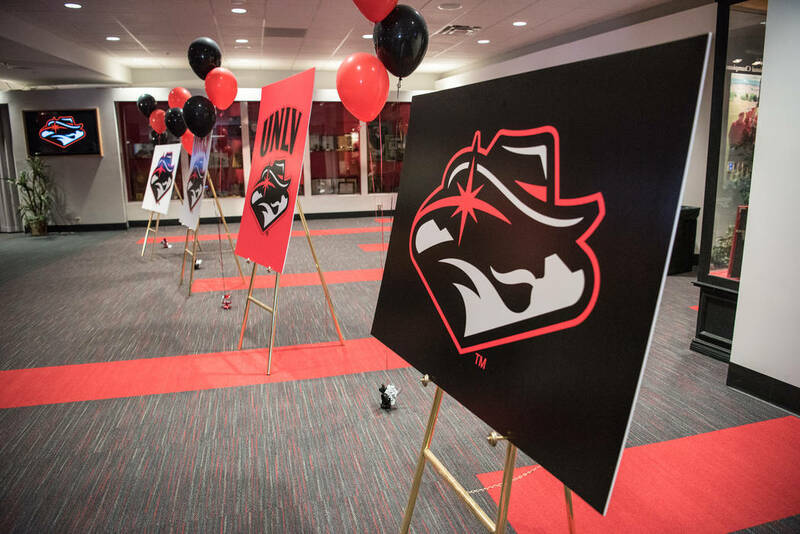 Joe, Haro, a former star running back and current UNLV Football Foundation president, agreed it was time to move on from the logo that is not even two years old. “I think constantly in this day and age, especially with the landscape of college football and college athletics in general, you’ve got to have some innovation,” Haro said. “I think they tried that. I think it was a total colossal failure.